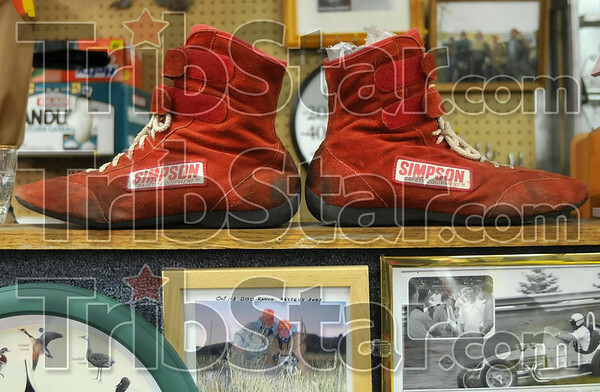 Famous footwear: A pair of racing shoes sits in one Don Smith's garages near Riley Wednesday. The shoes belonged to racing legend A.J. Foyt.